I wanted to like Watch Me. But this book fell way short of the expectations that I had for it. I could not connect with the main characters. The plot, while fast-moving, failed to engage me. I had so many unanswered questions, it wasn’t even funny. Watch Me is a story about stalking. Sam has fixated on Kate for years. Everything he did from the age of 19 was to get close to Kate. The closer to Kate he gets, the more unhinged he becomes. His fixation becomes deadly. Will Kate wise up or will she become Sam’s victim? I did not like Kate. She was a witch with a b right off the bat. Normally I would have liked that. I like strong women who don’t care what people think about her. But Kate, she came across as a jealous, bitter woman. I couldn’t connect with her. Even more so after she started to get close to Sam. She knew there was something off about him but she ignored it. Also, she did the stupidest things. Like keeping her passwords in a journal in her desk at school. Where it can be found. Who in the world does that these days? She was also unaware of her surroundings. So, yeah, it is safe to say that I didn’t like her. Sam started off with my pity. He had grown up under less than ideal circumstances. His childhood did affect him and it wasn’t for the better. I liked how the author didn’t bother to hide Sam’s stalking of Kate. Instead, I was given a ringside seat on how a stalker’s mind works. My pity of Sam did turn to disinterest towards the middle of the book. Sam became boring. Very boring. His character did perk up a bit towards the end. But it wasn’t enough. The romance part of the book creeped me out. Kate was actually having feelings for Sam. Even though she had a feeling that there was something off about him. I felt dirty after reading those scenes. The end of the book did creep me out. While events in the book did amp itself up in that direction, I didn’t expect them to happen. It also left a bad taste in my mouth because Sam did so much harm. I would give Watch Me an Adult rating. There are sexual situations, language, and violence. The stalking scenes could trigger some people. The end of the book definitely would trigger someone. I would not allow anyone under the age of 21 to read this book. I would not reread this book and I would not recommend to family and friends. 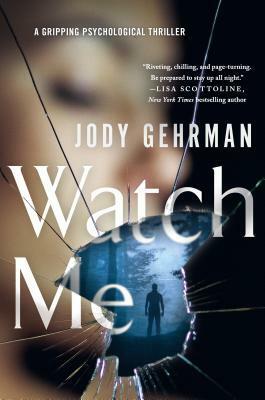 I would like to thank St. Martin’s Griffin, St. Martin’s Paperbacks, and NetGalley for allowing me to read and review Watch Me. All opinions stated in this review of Watch Me are mine.